Art opens doors to recovery for those who have suffered brain injuries or emotional traumas. You can inspire comfort and healing by supporting Art and Resilience at the Wexner Center for the Arts. If you or a loved one has suffered brain injury or emotional trauma, you know that recovery is often an enormous challenge. Art — whether you create it, experience it or talk about it — can help. It's proven to be a powerful pathway to resilience for those who have suffered strokes, for veterans experiencing post-traumatic stress disorder or for others enduring physical, psychological and emotional struggles. The arts allow people to explore emotions, understand feelings, connect with others and resolve deeper issues. Exploring thoughts and feelings through art allows people to open the unconscious mind and step back into their lives while connecting with others experiencing a similar journey. Eric Freece’s stroke damaged his memory and closed off parts of his mind. His wife, Debbie, searched for programs to help the former elementary school teacher heal. They both discovered a world of support, purpose and insight through Art on the Brain. “Eric truly lives in the moment,” Debbie said. “This gives him great joy in the moment." The experience was greater than anything Debbie expected: rich discussions of dance, music and paintings, as well as art projects, journal-writing and, above all, new friendships. The Art and Resilience suite of programs at the Wexner Center for the Arts uses art and group interaction to support those who are navigating adversity. Participants in Art on the Brain, Vets at the Wex and the new Art Unlocked include those who have suffered brain injuries, veterans experiencing post-traumatic stress disorder, women who have been incarcerated and others who have experienced a variety of mental and emotional traumas. Through art interpretation, creation and group discussion, participants and caregivers experience healing and social re-integration. Give today to strengthen and maintain the Art and Resilience program at the Wexner Center for the Arts, allowing families like the Freeces to experience wellness and enjoy life through the healing and support that the arts can offer. The arts at Ohio State are celebrated in many forms. 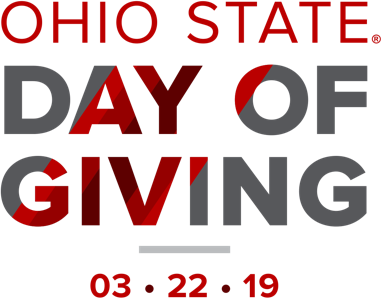 And you can support the arts in just as many ways — whether your interests lie in presenting galleries, programs and initiatives at the Wexner Center for the Arts, supporting the ongoing programming of WOSU or creating scholarships for fine arts majors. Supports the quality children's programming on WOSU-TV. Helps provide over 11 hours of daily programming for children in central Ohio. Support innovative initiatives and priorities.